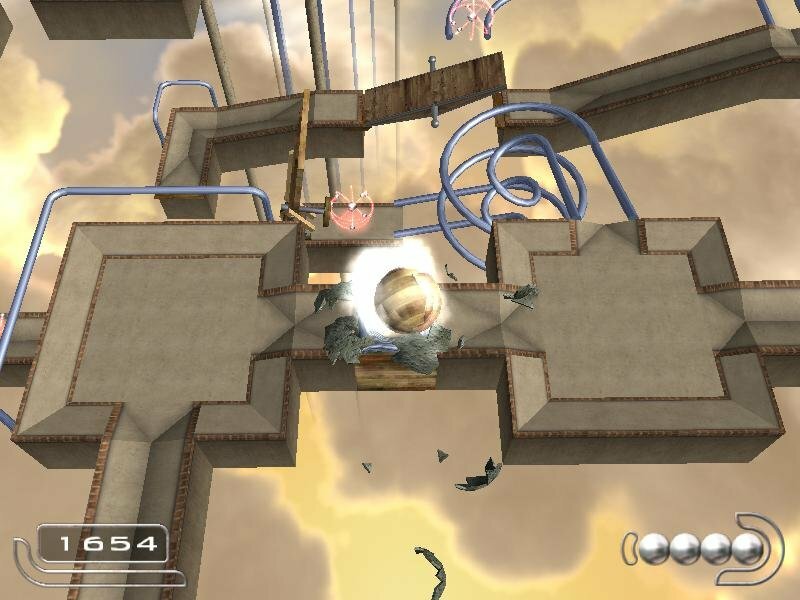 Ballance gives a literal meaning to ‘being the ball’ as you navigate its ethereal, maze-like 3D worlds using an inanimate ball instead of a character. The unusual concept is nicely executed and enjoyable. 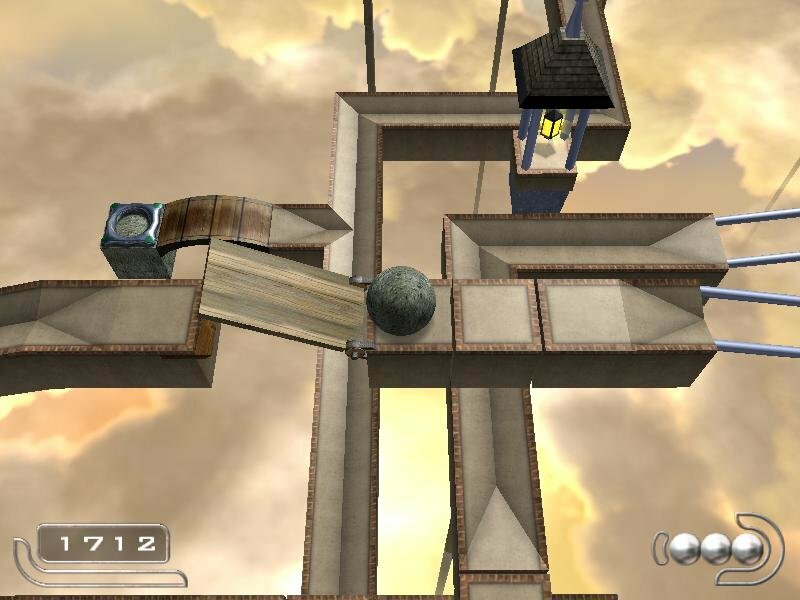 The object of the game is to steer a ball using your keyboard across twelve vertigo-inspiring levels that become increasingly difficult as you progress. 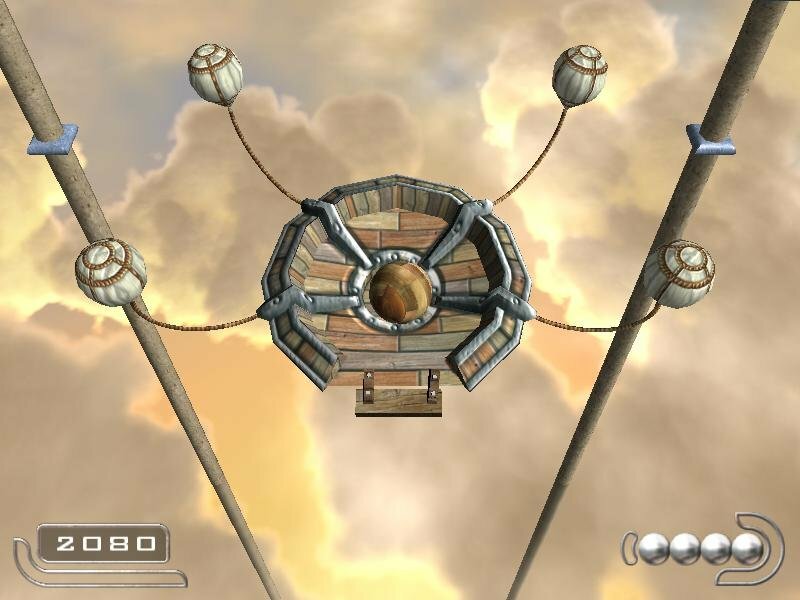 You start off the game with a tutorial level explaining the game’s very basic mechanics and the game’s pace slowly picks up from there. 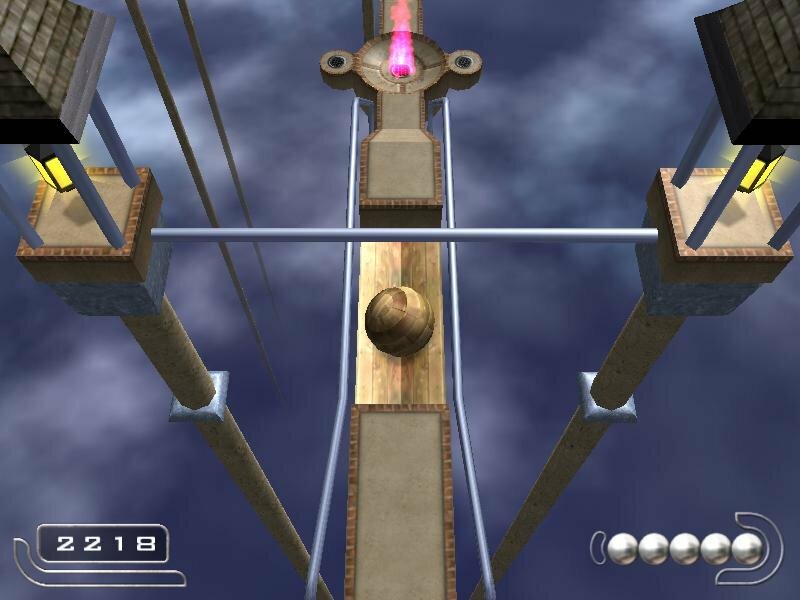 The final levels are darn difficult, requiring careful thought and surgical-like manoeuvrings to solve. 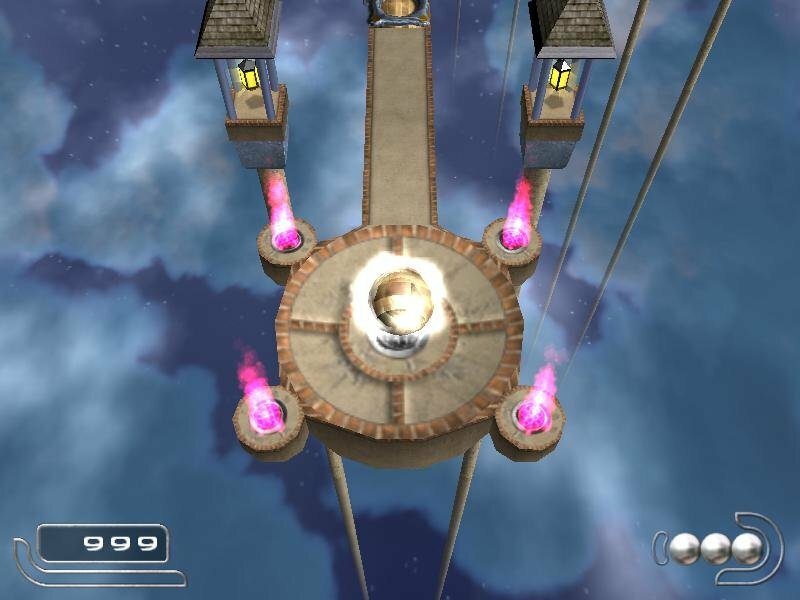 These levels take full advantage of the game’s physics model, giving it new life. 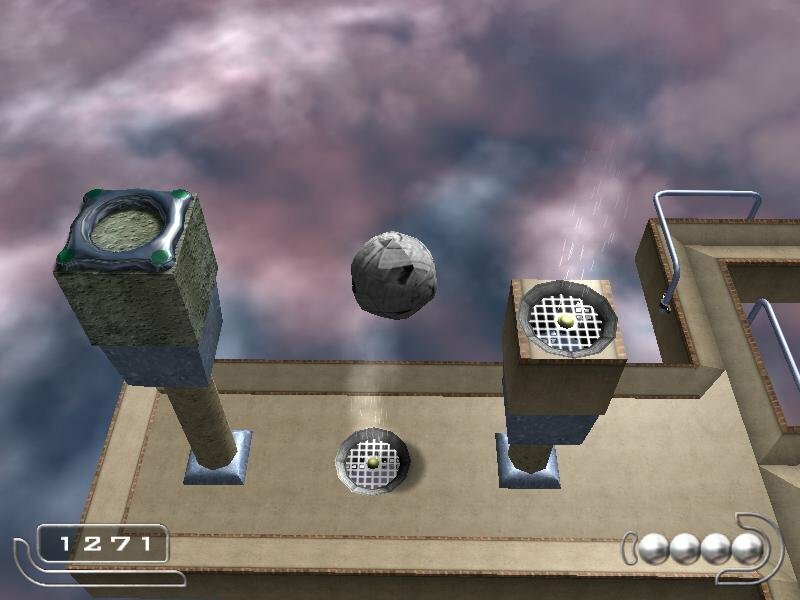 Placed throughout the maps are points where you can change your ball to one of three available materials – paper, wood and rock. 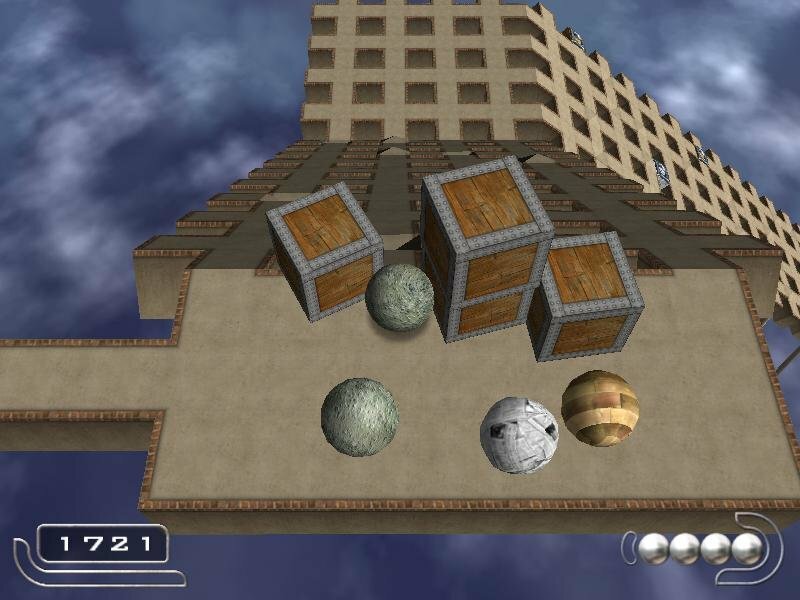 Shifting between them equals to changing your body mass, adding new depth to puzzle solving. Paper is lightweight and easy to control; rock is heavy and cumbersome while wood is somewhere in between the two extremes. Depending on particular circumstances, each material can either be an asset or a liability. 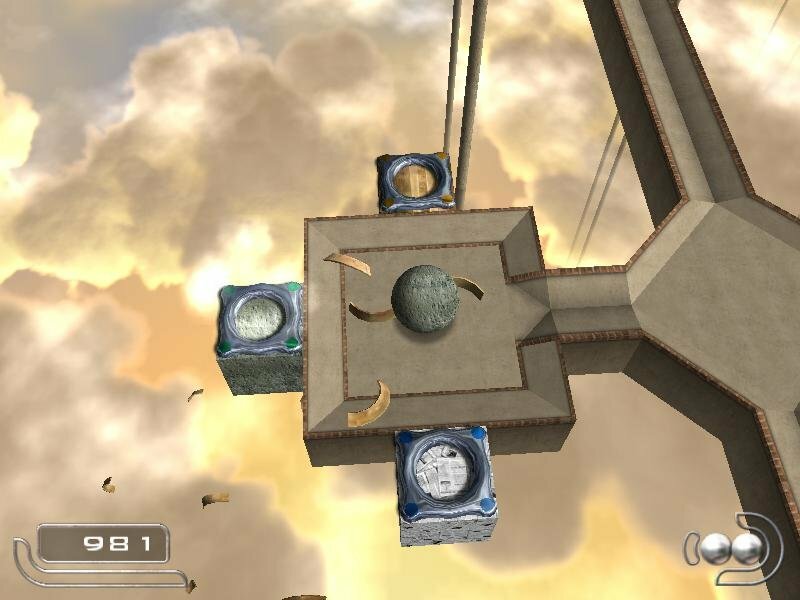 A heavy rock is powerful enough to knock a clean path through obstacles but is too heavy to cross a bridge, climb a steep surface or descend an incline without flying off the map. Paper is light enough to be blown upwards by fans and can climb some very steep walls but lacks the mass to manipulate other objects. 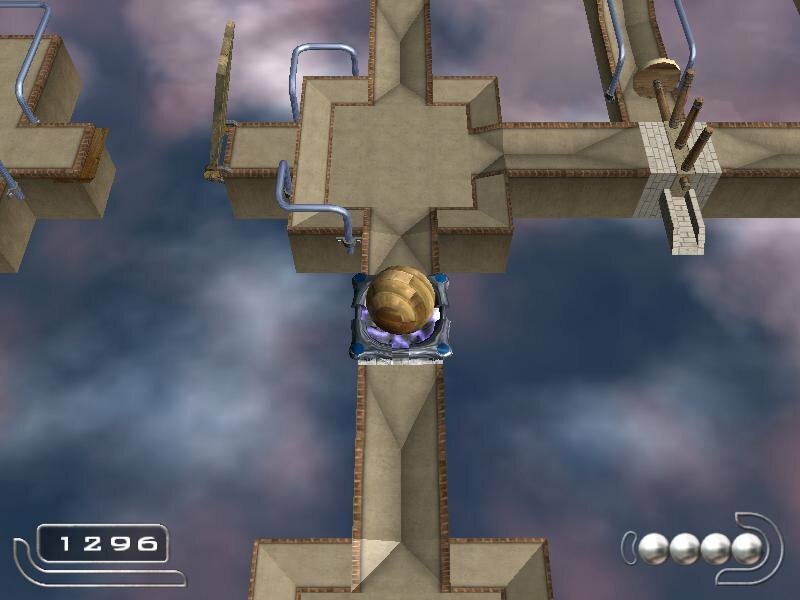 Certain parts of each level will require you to switch between materials in order to progress. 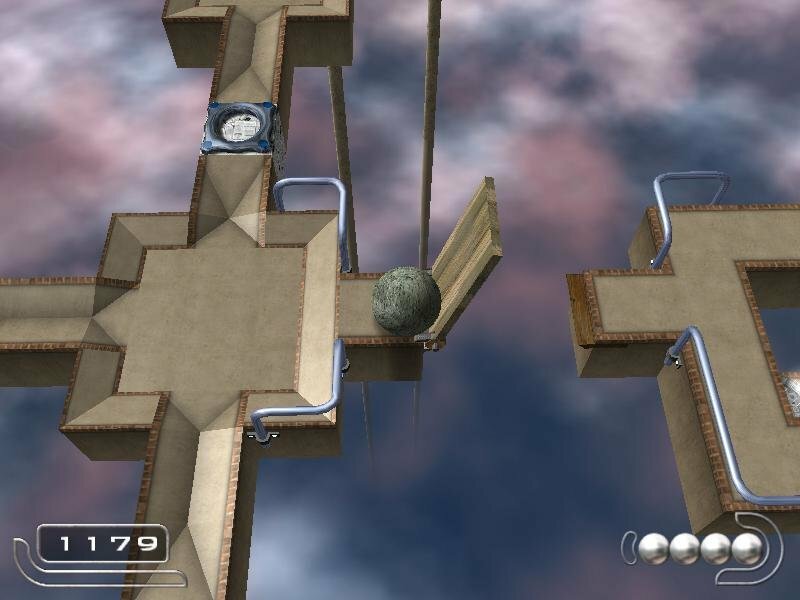 The puzzles in each level are based on the physics engine and solving them takes reflexes as well as common sense. 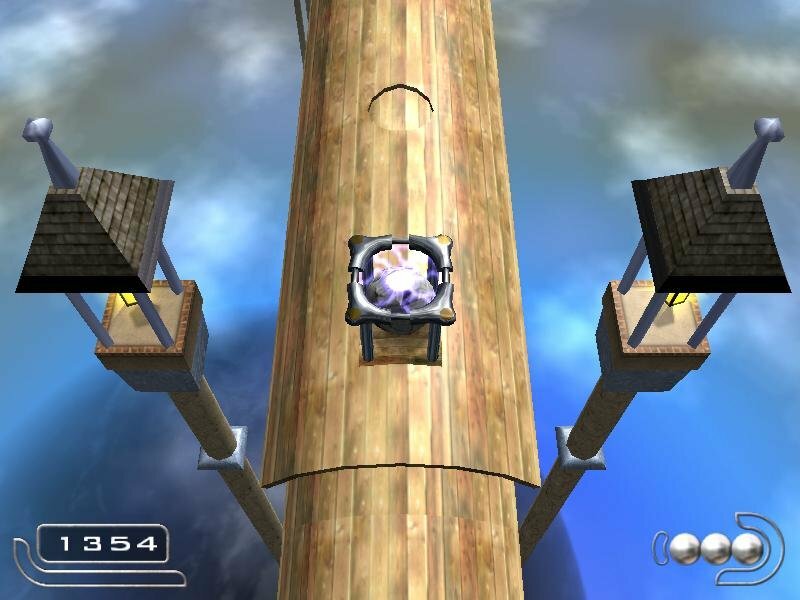 Passing these levels always seemed reasonable thanks to strategically placed checkpoints that save your progress before and after the more difficult bits of each level. 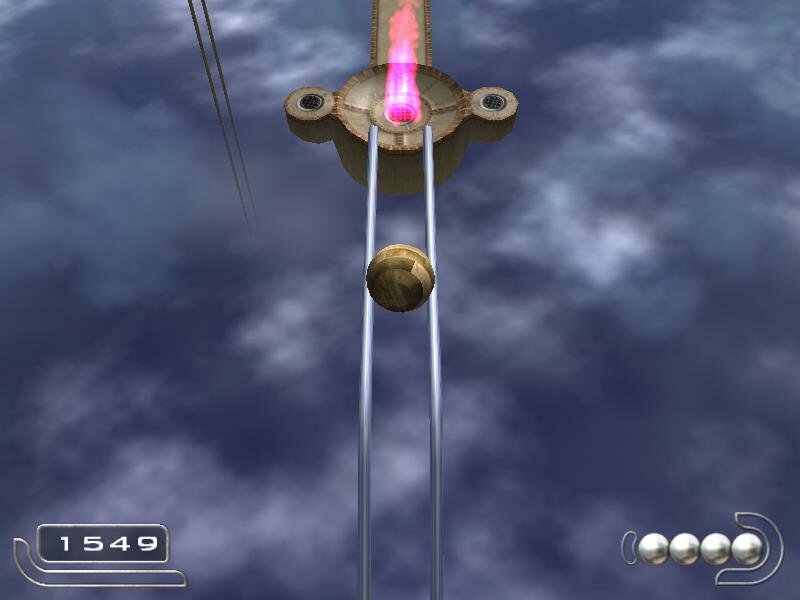 You control the entire action with a total of only six keys, four of which are directional while the remaining two let you change the camera views. 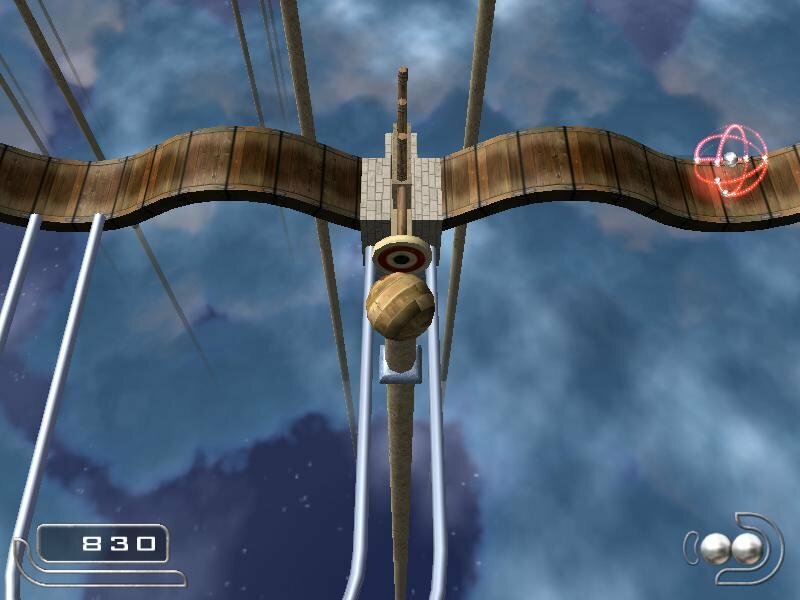 The controls are so simple and basic that anyone can handle them, which is why I find it strange that Ballance doesn’t go that extra mile to offer gamepad support (or a mouse view for that matter). 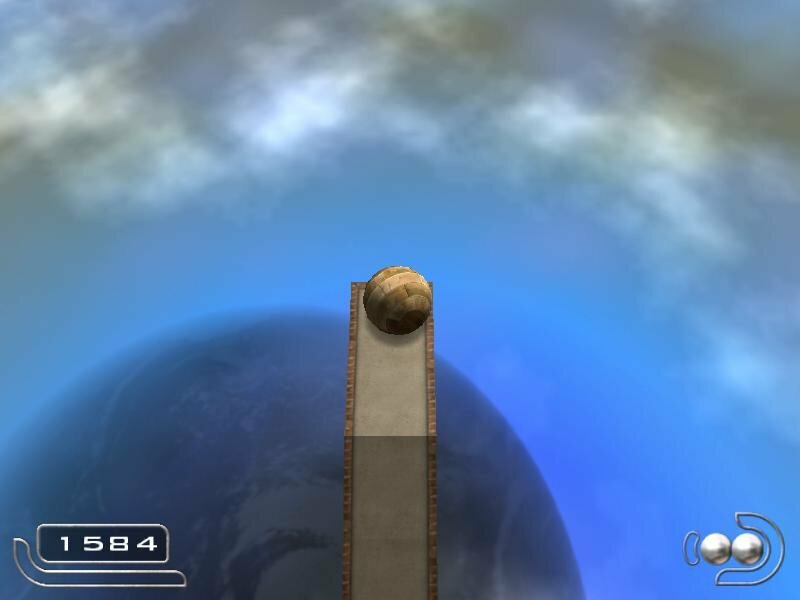 Regardless, the default camera controls work well enough. You have the ability to switch between four side angles and one overhead view for a better look at your immediate surroundings. 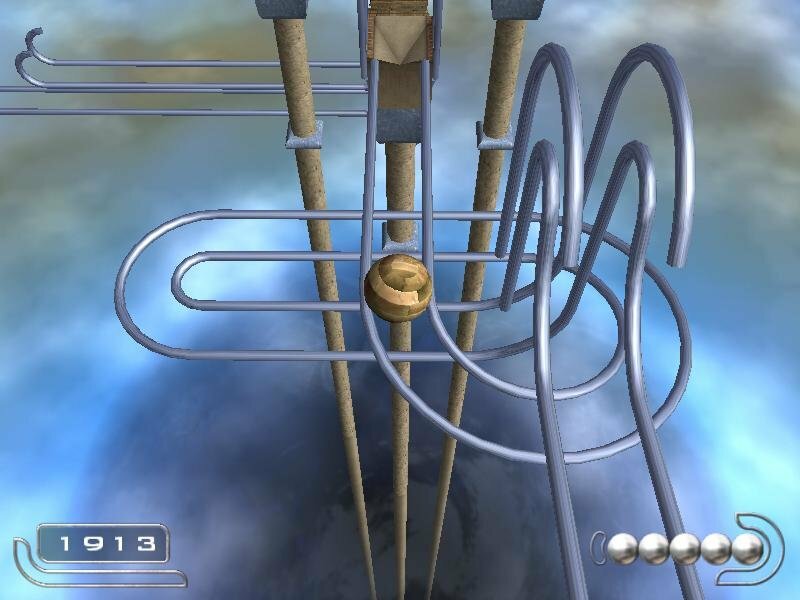 Some parts of the later game have large-scale puzzles with multiple intertwined paths that become confusing, making me wish the game had an automap function to better understand my surroundings. But these are exceptions to an otherwise simple, functional interface. Ballance is both simple and fun. 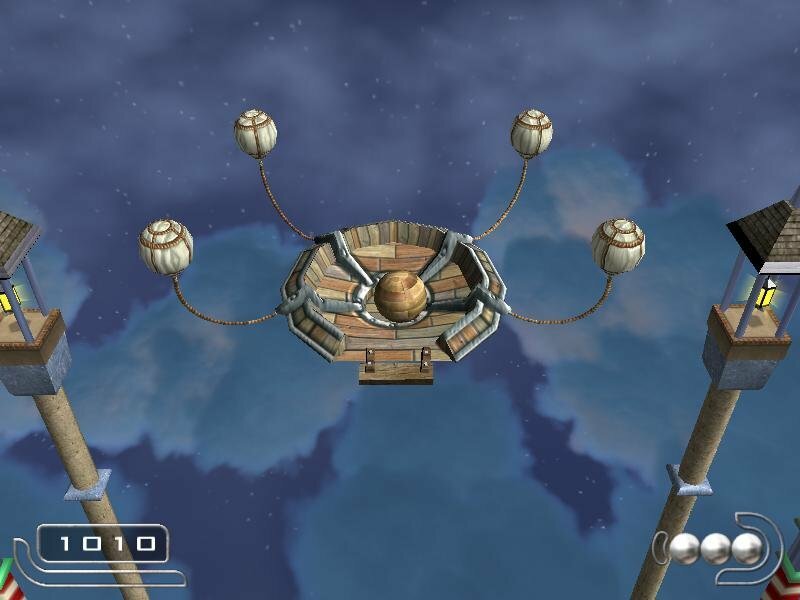 It’s a shame how a level editor was never added as this would have surely prolonged its lifespan. 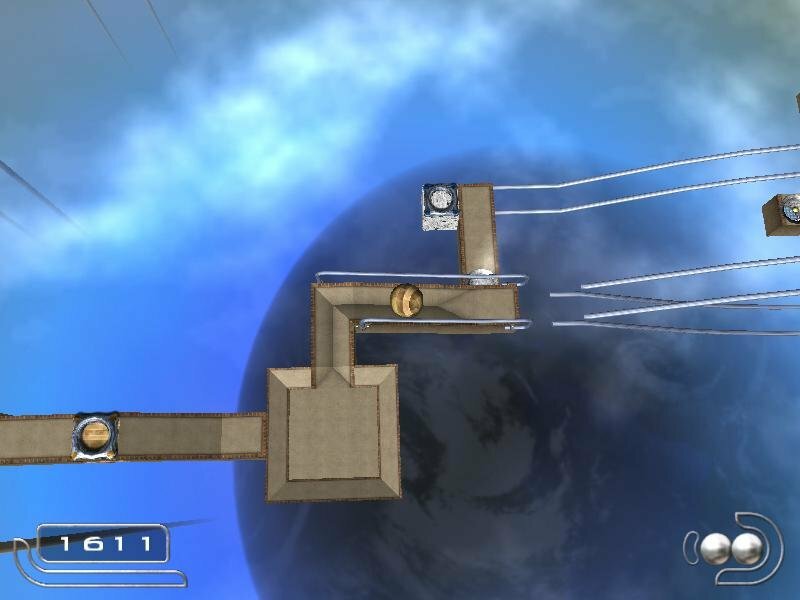 To my understanding, the official website www.ballance.org hosted several free level downloads and the game itself before it was shut down sometime after 2008. 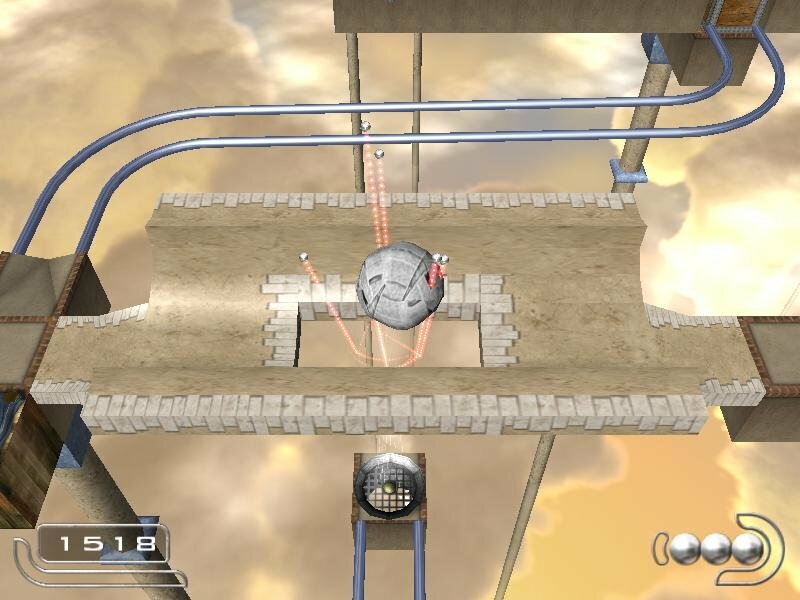 In either case, German developer Cyparade reinvented the ball in this creative puzzle game and it’s worth a try. It’s a classic and it’s a favourite with kids. it has aged gracefully and can still be played with fun. can you please help me……. Does this file have a virus? i can’t download ballance game ,,, how can i download it ???? ?